Home Guest Posts How CAN a White Label SEO Reseller Help Your Agency Grow? SEO has become an integral part of the marketing strategy for most businesses. Thanks to the benefits of SEO, as most businesses want to spend time and resources on SEO to put their website on top. However, not all businesses have enough resources or manpower to afford an in-house team to navigate their SEO strategy. This is when they look for SEO outsourcing companies to deliver the desired results while cutting down on the price drastically. An SEO services provider’s work is divided into two major parts. First, finding ways to deliver the results their clients thrive for and second, generating new leads across the funnel. While most service providers swear to provide both, some agencies, especially start-ups, often find themselves having limitations that hinder them from achieving more. This is when they hit a wall due to a lack of workforce, lack of resources, tasks beyond expertise, or even the revenue. This is a stressful situation as it becomes difficult for them to deliver the results their clients expect from them. So, you may wonder, what is the way out of this situation? Enter White Label SEO reseller services. Most people get confused between white label SEO services and SEO outsourcing as the same thing, but in reality, they aren’t. SEO Outsourcing is when a company seeks the support of an SEO company to fulfill the SEO requirements of a client. SEO outsourcing is driven by price difference across two different nations. The company outsourcing the project may be based out in USA and the SEO company fulfilling their needs might be based in India or Philippines. On the other hand, White label SEO refers to SEO companies who take up projects from other SEO companies who have preferably a bigger brand name. 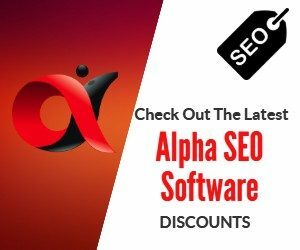 These companies get a lot of projects due to their reputation and by outsourcing projects to the white label SEO companies they save significant amount of time and money.The ownership of the project remains with the SEO company that outsourced the project to the white label reseller. The white label company cannot claim to be responsible for the success or failure of the projects. It only gets paid by outsourcing SEO company to get the work done. In simpler terms, a white label SEO company is like a Chinese manufacturer that has large scale operations and produces products for all the top smartphone brands. However, they cannot claim the brands to be theirs or derive any monetary benefits. They just receive the money from the top brands to manufacture those smartphones. It must be noted that white label is interchangeably referred to as “private label” a lot of times. Why should you use White Label SEO services? Most white label SEO service providers have trained and experienced professionals who are well-versed with the current industry trends and latest advancements in the SEO industry. These professionals make sure that you get the desired results you expect from the SEO services. The most important advantage of hiring a white label SEO reseller service is you get an action plan ready within a matter of minutes which could have taken you days or even weeks. The trained professionals make sure that the action plan is in line with your expected results. Professional white label SEO services provider have all the resources ready and at hand to be implemented whenever you want to. Unlike your own business, where you might need to spend time and energy to get the resources, the white label service providers are always ready for any challenge you throw at them. They also have all the latest technology that can help in attaining the better results. One of the best things about white label SEO services provider is that they have a vast network of outreach experts, SEO experts, SEO managers, bloggers, influencers, and even digital marketers who can be put to work at any given point of time. This is not easy for an in-house marketing team. They also help you build a strong relationship with your clients. Most of the white label SEO service providers have established successful SEO strategies that ensure scalable results. Imagine a situation where your client keeps piling up the projects, which might get difficult to work on in-house. This is when the white label services can help you efficiently. No matter how much work you pile on them, you can expect them to deliver the results, thanks to their strategies, resources, and the experienced professionals. There are times when you might need specific customization made to the SEO services as directed by your clients. In this case, white label SEO resellers can create custom service packages and can guarantee you the results that your clients are hoping for. This is because the white label SEO providers are well-versed with the industry and are capable of handling any task related to the niche or the industry. Most white label SEO services come at very affordable prices when compared with what you might need to spend if you decide to do a project in-house. Also, you get combo offers and packages that entitles you to get multiple services at very reasonable prices. Also, it’s cheaper than learning new technologies or hiring new personnel to get a project done. Working with a white label SEO service provider most of the time yields excellent results. Since they are experts and are in terms with the industry norms, there are fewer chances of them messing up a project. On the other hand, if you try to do the projects yourself, there are chances that you might fail in the first few attempts which will not be the case for white label SEO services provider. Also, they provide you with all the SEO reports that you can brand as your own while presenting them to your clients. Isn’t that awesome? 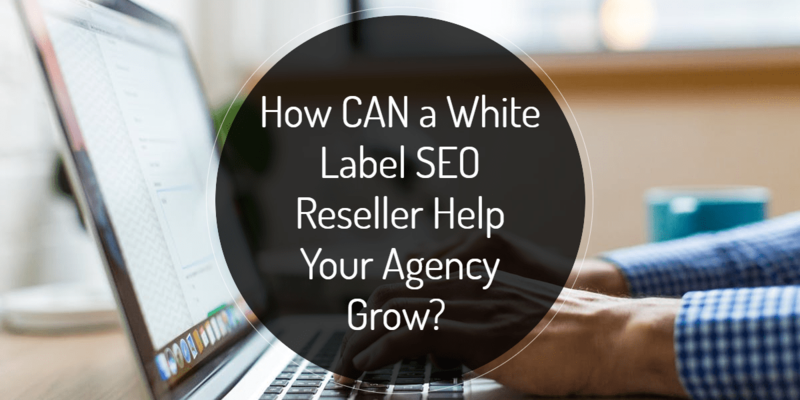 So, these are the few ways on how white label SEO reseller services can help your agency grow to greater heights. They are a boon for many service providers since they render scalable results while making sure that the services are affordable and the results are on point. A content and SEO aficionado with an experience of 2 years in the digital marketing domain. Presently, working at Stan Venture in SEO content writing team.